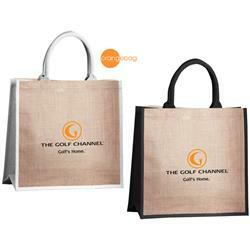 The Orangebag Sightseer Tote by Adco Marketing is a promotional, eco-friendly tote for the environmentally conscious. 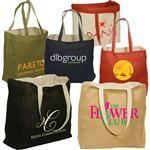 This jute tote bag and comes either completely natural of with a black trim. 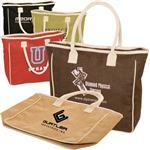 The cotton handles are 20" and allows you to either carry over the shoulder or by hand. 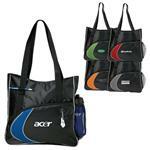 Personalize it with your logo or design to make it a great tradeshow giveaway. 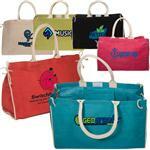 A great eco concious shopping and designer tote!